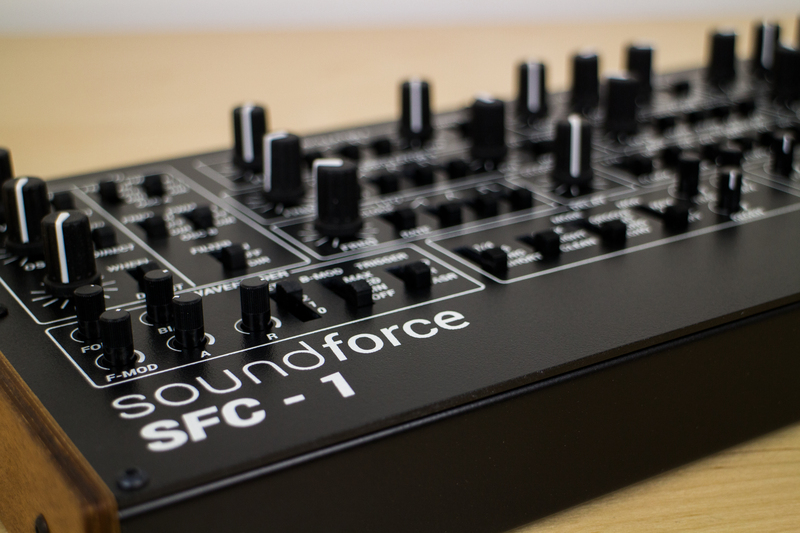 The SoundForce SFC-1 is a class-compliant USB MIDI controller dedicated to u-he’s Repro-1. 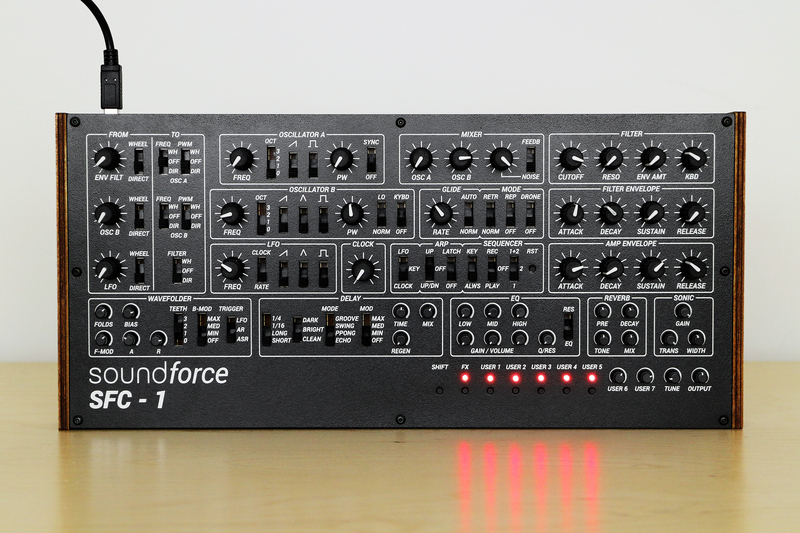 With a whopping total of 51 pots, 41 slide switches and 6 tactile switches, you can control every single MIDI-mappable control of the plugin in analog fashion. The awesome effect chain is also fully-covered on the bottom section of the controller. Every control is assigned to a default CC number, but that can be changed using our control panel app in Google Chrome. 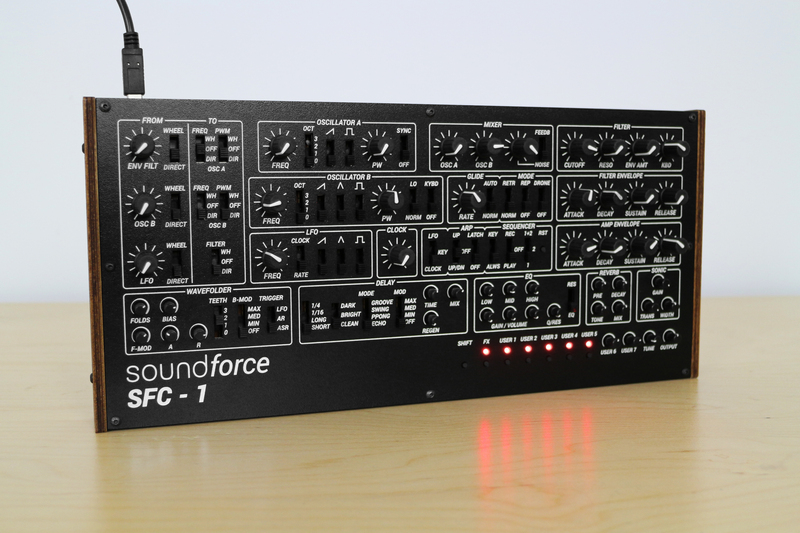 A shift button unlocks an alternative channel for each pot, allowing you to control potentially 51 extra parameters. Even more user-specific controls are possible with the extra set of user-assignable switches and pots. The enclosure is made of 100% sheet metal. The case is made of bent steel and powder coated in black. The front panel is aluminium, also powder coated and screen printed with scratch-proof white ink. Please note that the final product will have a plain black powder coat, not structured like the pictures are showing. Discrete and minimalistic wooden pieces of 6 mm thickness are added to the sides. 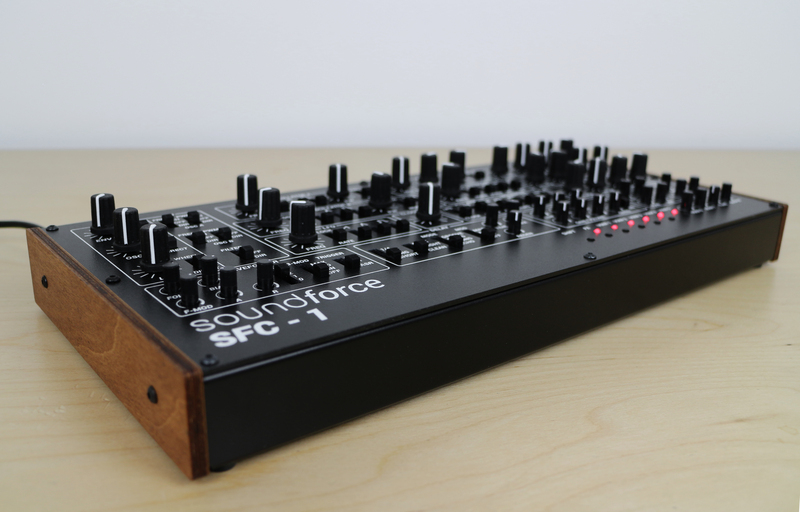 The SFC-1 is a boutique controller manufactured in small batches in the Netherlands. A lot of operations are still performed by hand and automation is used when possible to improve quality and processes.